The monumental wooden structure on Mount Ararat has been discovered at a high altitude on the south of Mount Ararat (above 14,000 feet on this 17,000 foot mountain). 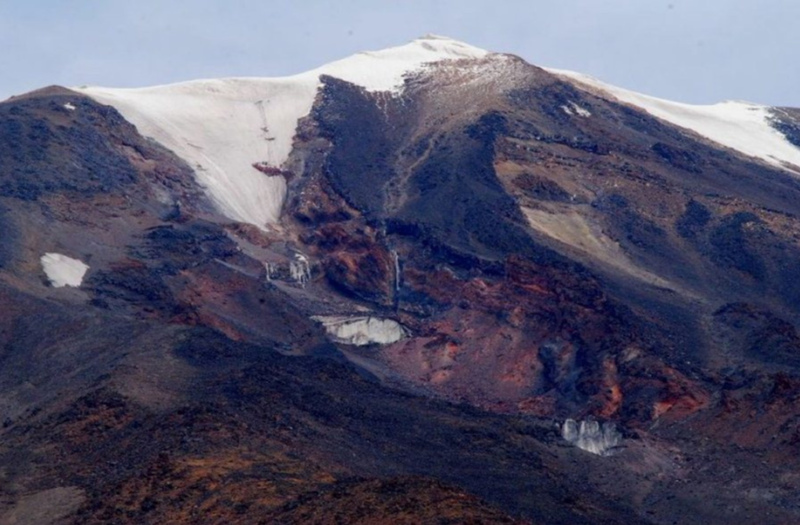 The site is in one of the most dangerous areas of the mountain, an area created by a glacier and volcanic-rock landslide slowly moving from down the mountain. Our long-term solution is to erect a fence above the site to protect workers from falling rocks. We also plan to build an all-weather facility overlooking the site that will be suitable for housing security personnel and workers. Solar-powered cameras and alarms registering movement in the area will be used to further protect the site.